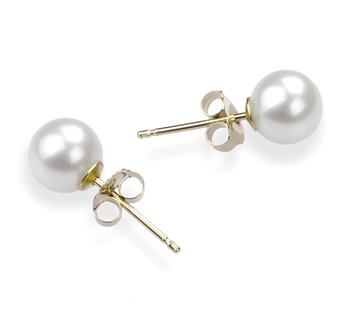 The 5.5-6mm White Tanita Freshwater Pearl Earring Set is a classic pair of pearl earrings, but with a modern twist and tiny sparkles. Their round shape and light weight will ensure a comfortable fit and wear. 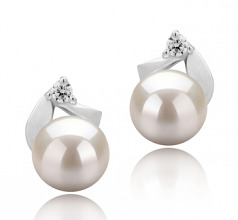 The small size of 5.5-6mm makes this pair of freshwater white pearl earrings suitable for young ladies or petite women. 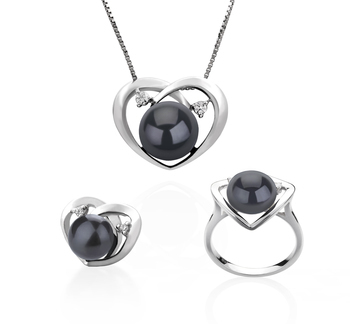 The gleaming sterling silver rays complete the entire design in an elegant note. The high and sheer degree of quality is extremely noticeable in the AAAA luster, shape, body and overall grade. Appropriate for any lady who has a fine taste of elegance, you will not disappoint with such a gift. They are a wonderful option for both formal and casual events. 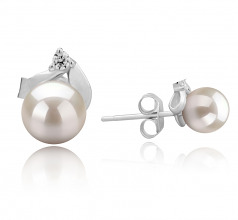 Wear this beautiful pair of white pearl earrings with a flirty dress, heels and your hair up to allow them to shine! Show only for "Tanita Earring Set"